Welcome, today I am taking part in the Friends of SUBA blog hop. Whether you have just join our blog hop or hopped over from Caro I hope you enjoy our projects. This month our theme is of cause Sale-A-Bration. 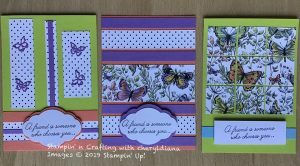 For the period 3 January through to 31st March Stampin’ Up! hold their biggest promotion. For every £45 spent in one order you can choose a FREE product from their Sale-A-Bration catalogue. 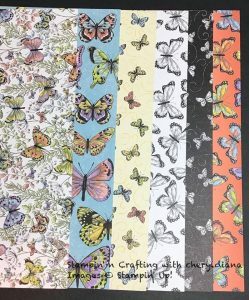 The product I am showcasing is the Botanical Butterfly designer series paper. This paper is simple gorgeous and I did not really want to use it. I decided to bite the bullet and do a ‘One Sheet Wonder’ using one of the 12×12″ DSP. 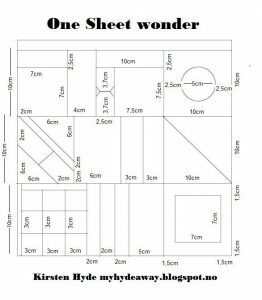 As I have never done this type of project I had a quick look on Pinterest and found this One Sheet Wonder template. I decided to use the Beauty Abounds Bundle with this DSP as I have not really used this lovely new bundle. 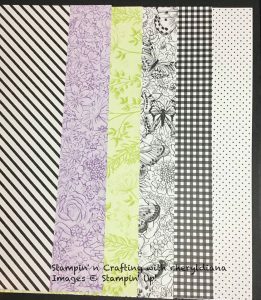 I chose to use one A4 sheet of Balmy Blue, Highland Heather, Lemon Lime Twist and Grapefruit Grove to make the card bases which I will attach it Whisper White card stock. I also decided to use the same colour ink pads. These I used to stamp background onto the same colour card stock. 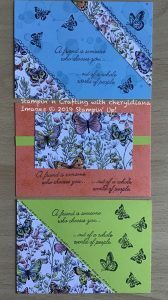 I hope you have loved the cards I have made using One Sheet Wonder. Please do leave comments as you hop around and see what the others have done. Please click on the next button to see what Deborah has made. 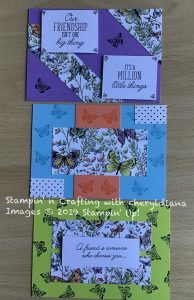 Beautiful cards making fantastic use of the one sheet wonder. Love them all. 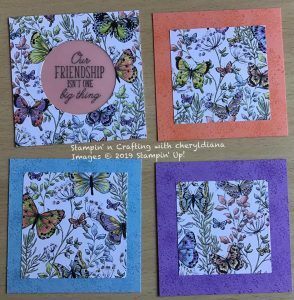 A great way to use DSP and make up a batch of beautiful cards ! I love this paper. It makes me smile. Great cards! Oh My! How wonderful, I am loving this paper and that OSW is amazing. I will be casing that! 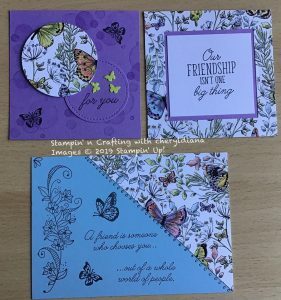 Lovely cards and my favourite DSP at the moment. That was a busy OSW to start with too.